Starfire Council members spend the morning at Cincy CoWorks! Posted under community, drop in, Starfire Council on May 15th, 2012 by marcelina – Leave a comment, or trackback from your own site. 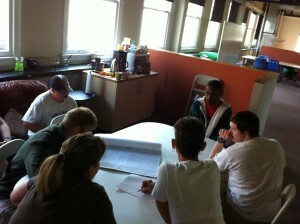 This morning members from Starfire stopped by Cincy CoWorks to work on a project. They hung out for about an hour at CincyCoWorks. Here is information from the Starfire Council website about our new friends. 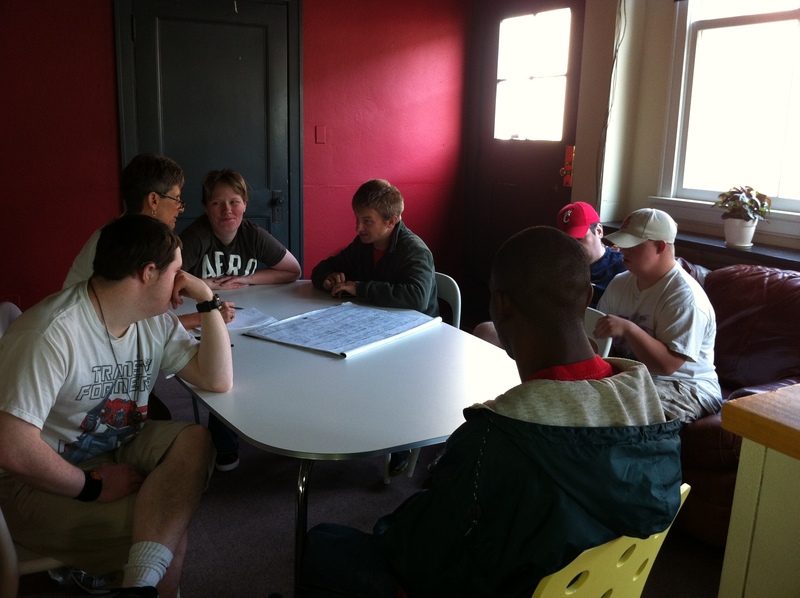 Starfire enables individuals with disabilities to become active and vital members of the community. Since 1993, Starfire has offered innovative programs that address the emerging needs of teens and adults with disabilities. Starfire believes every person has gifts that should be valued and respected. Time at Starfire is spent discovering those gifts and finding the people and places where those gifts are able to shine the brightest. Starfire recognizes that all people want acceptance and need relationships. There is great value to relationships with the community and neighbors so an emphasis on building connection runs throughout each program. Starfire strives to maximize resources and generate new avenues and networks of connections for people. Every program provides opportunities for individuals to learn and practice their social skills and create strategies for interacting with the community. 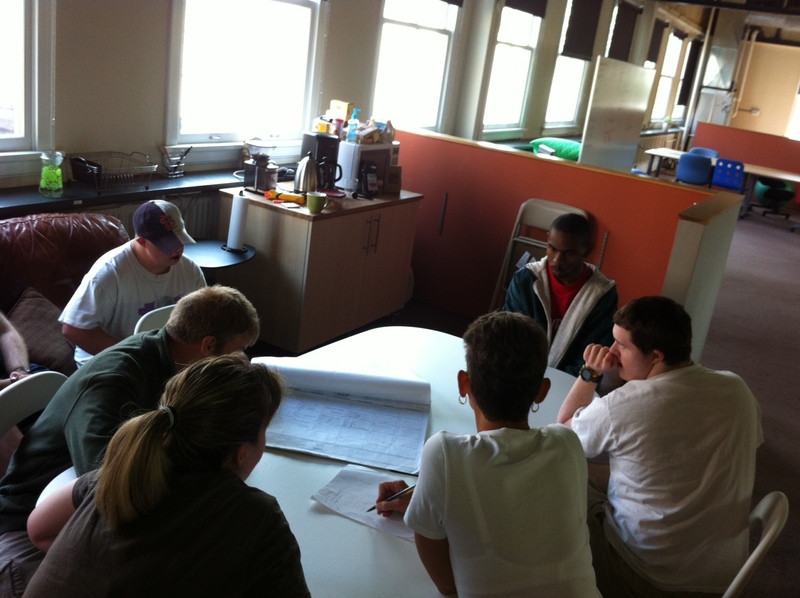 Click here to learn more about Starfire’s programs. We look forward to the Starfire gang visiting us again soon!